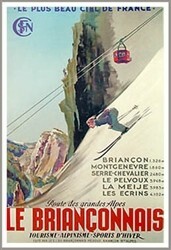 The Le Brianconnais poster has soft muted colors showing the rugged beauty of the French Alps in the sun light that are not as obvious with this cropped web picture. 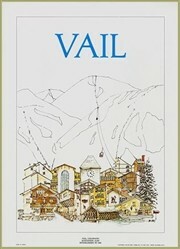 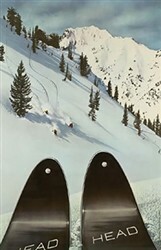 In 1947, J.P. Poissonnie’s, created this print featuring ski racing in the foreground and climbers in the background, to promote travel to Le Brianconnais. 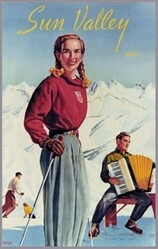 Reproduced by Clouets, France.